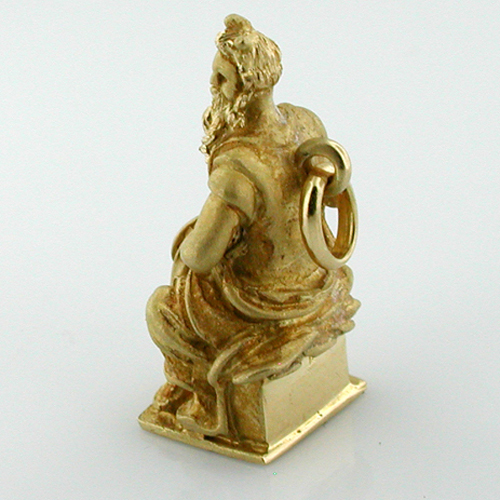 This is a truly superb Michelangelo's statue of Moses 18K solid gold vintage charm. 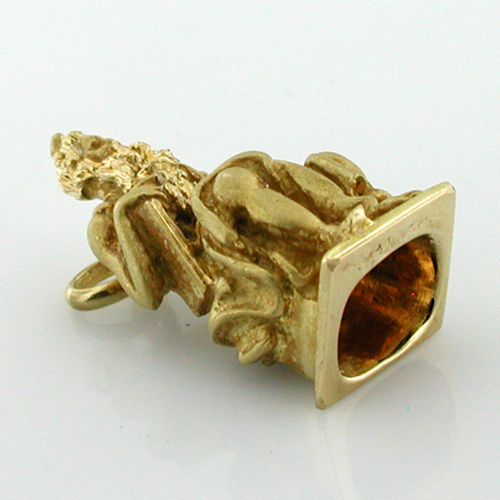 The charm is extremely well made with wonderful attention to detail. 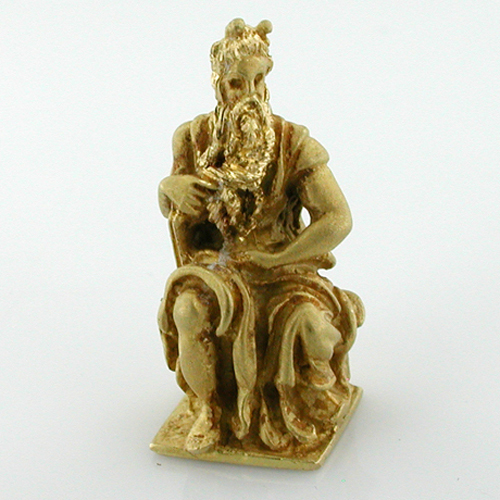 Measures 1-1/32" ( 26.3mm) tall, and weighs 14.4 grams. 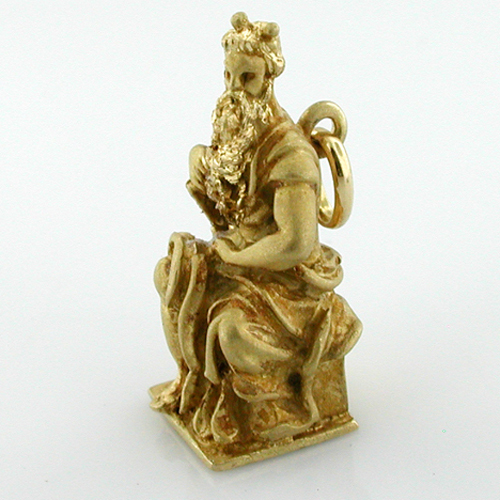 Tested and guaranteed to be 18k gold. 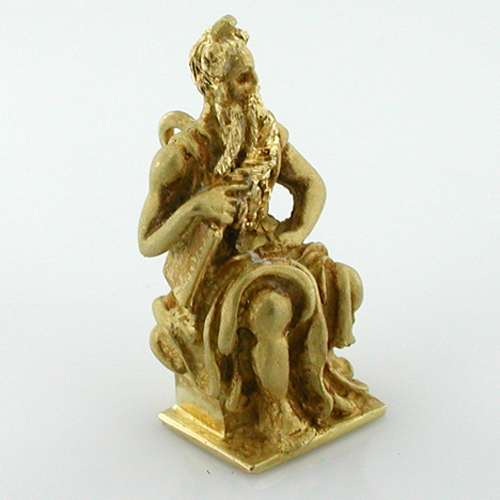 The charm is in excellent vintage condition.